Sensitive skin needs a little extra TLC. These three ingredients have been specially selected for their soothing and calming properties. Mix these ingredients into a paste, apply to clean skin and leave on for 10-15 minutes. Rinse off, using warm water with gentle circular motions. Pat dry. Rolled oats – Soothing and anti-inflammatory, oats contain saponins which gently exfoliate and cleanse your skin. Yogurt – The AHAs found in yogurt provide gentle exfoliation to the top layer of the skin without causing redness. Honey – Superfood for your skin! Honey has antibacterial, anti-inflammatory and healing properties and provides moisture. Packed with antioxidants and healthy fats, this face mask will help moisturize and nourish dry skin. Mash both the avocado and banana together, then add the rest of your ingredients to form a paste. Leave to set for 10 minutes then use warm water when it’s time to wash it off, and lightly pat dry. Mix all ingredients until fully blended together and apply to clean, damp skin. 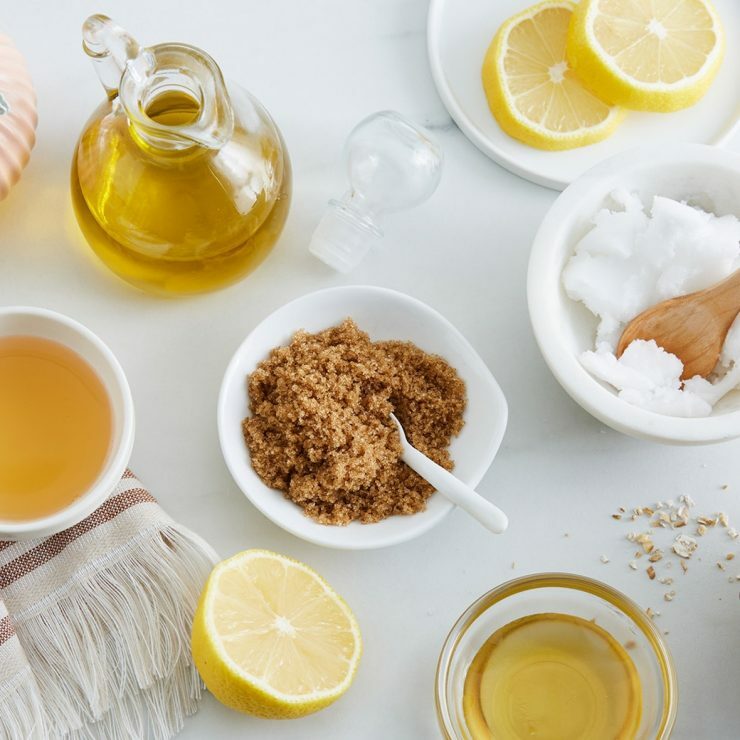 The naturally antibacterial properties of the honey mixed with the anti-inflammatory cinnamon and green tea powder can help calm acne breakouts. Honey – Antibacterial and moisturizing (as you can tell, honey is a stable in many natural face masks). Lemon – Full of vitamin C, brightens and tightens skin.